Leanne had three miscarriages – each one traumatic in its own way. 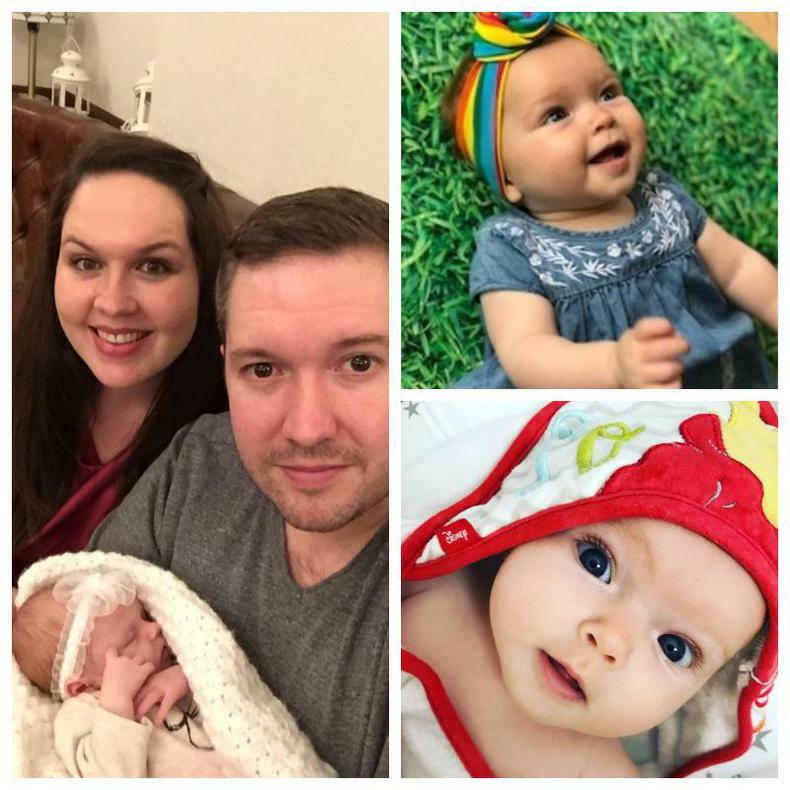 After her second loss, Leanne had support from her mum and her husband John, but she had started withdrawing from others, particularly her brother and sister-in-law who had just had a baby. 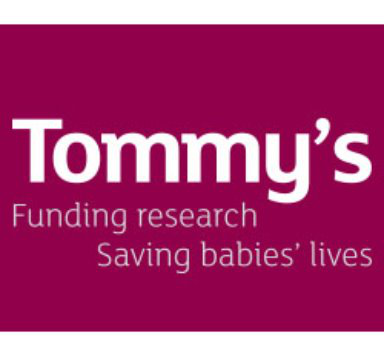 Leanne’s GP put her in touch with Tommy’s National Centre for Miscarriage Research, led by Professor Quenby, consultant obstetrician at University Hospitals Coventry and Warwickshire. 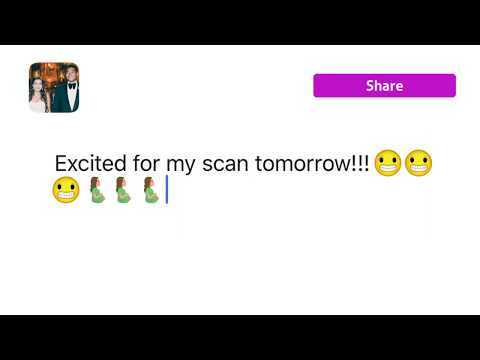 Diagnosed with a blood clotting disorder, Leanne agreed to participate in a randomised clinical trial. Despite experiencing a third miscarriage, she was given the support and care she needed to persist in her dream of becoming a mother. She became pregnant again and, at 32 weeks, allowed herself to tell the wider family, and some friends, the good news. Professor Quenby’s team did everything to reassure her and provide support every step of the way, including monitoring and scans twice to three times a week. Paisley was born on 1st March 2018. After so many heart-wrenching disappointments, it wasn’t easy for her to bond with her daughter. She had an overwhelming sense of guilt about the babies she had lost and a fear that everything would go wrong again, but when Paisley was three months old, that all changed. Thank you for supporting Tommy's and for enabling us to be able to give families like Leanne & John's happy, healthy babies to take home. 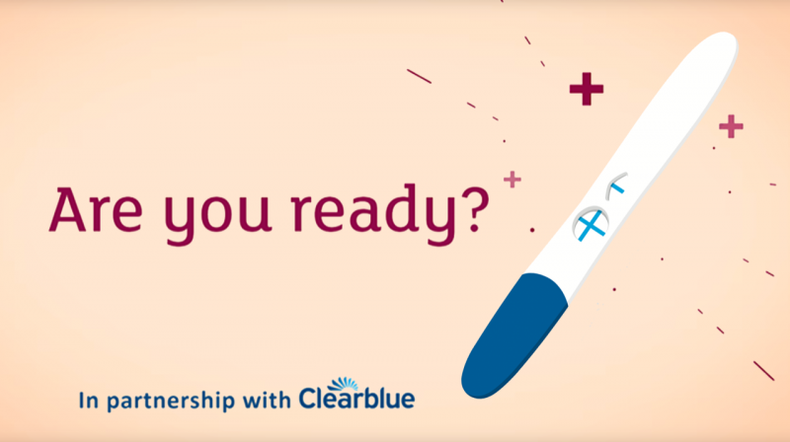 An NHS ‘care bundle’ is an action plan put together by experts and carried out on all patients who meet certain criteria. Care bundles are targeted on causes of death or ill-health and are designed to save lives. 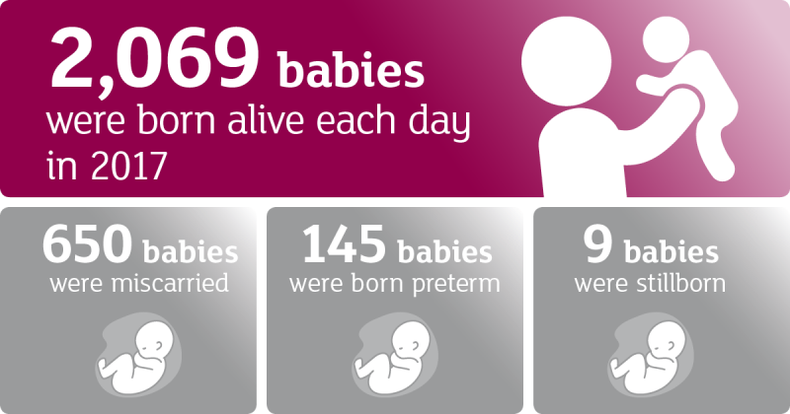 The Saving Babies’ Lives Care Bundle is a group of actions that have been put together to reduce stillbirth. Tommy’s has been heavily involved in the design of the NHS Saving Babies’ Lives Care bundle through the involvement of clinicians from our Manchester Stillbirth Research Centre, guidance of our CEO Jane Brewin and our work on a leaflet designed to raise awareness of the importance of monitoring reduced fetal movements: Feeling your baby move is a sign that they are well. The Care Bundle focused on the following elements: reducing smoking in pregnancy, closer monitoring of fetal growth restriction, raising public awareness of monitoring reduced fetal movement, and effective fetal monitoring during labour. The effects of the Saving Babies’ Lives Care Bundle meant thatthe proportion of women recorded as smoking at delivery reduced from 14.3% to 11.8%, detection of small for gestational age (SGA) babies increased from 34% to 54%, and units were more effective at monitoring the rates of babies’ growth in the womb and identifying when they are growing too slowly. This meant a number of other important changes in outcomes for women and their babies - including an increase in the number of ultrasound scans (by 25.7%), increases in induction of labour (by 19.4%) and birth by emergency caesarean section (by 9.5%). We look forward to seeing the learnings from this project put into action and the widespread implementation of the Saving Babies' Lives Care Bundle. There should also be a close examination of unintended consequences of implementing the actions in the bundle, particularly that births before 37 weeks gestation, known as preterm birth, increased by 6.5% in units who took part. As women and men rarely talk to their doctor or other health professional before they start trying for a baby there is a low level of awareness about what they can do before they conceive to reduce risks to the pregnancy and baby and increase their chance of conception. The campaign aims to address this. 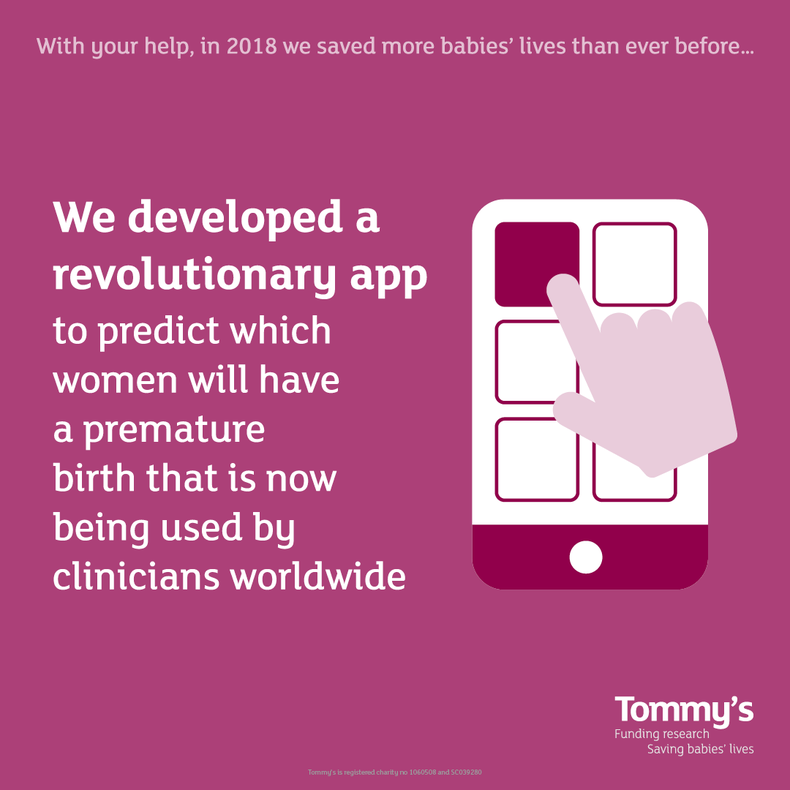 In 2018, Tommy’s and leading health organisations developed a digital Planning for Pregnancy tool to give families all the information they need to know before pregnancy. • Folic acid should ideally be taken 2 months before conception to build the level of the vitamin up in the body to give maximum protection. • Being overweight before and during pregnancy increases the risk of potentially dangerous pregnancy conditions, such as pre-eclampsia and gestational diabetes. • Smoking in pregnancy causes up to 2,200 premature births, 5,000 miscarriages and 300 perinatal deaths per year. • Two thirds of maternal deaths happen in those with pre-existing mental health problems. There are 300,000+ reasons why Tommy’s is important. 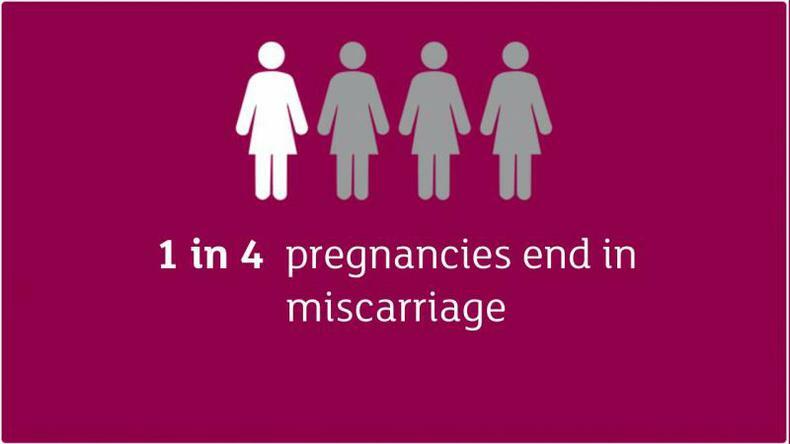 That’s the number of little lives lost through miscarriage, stillbirth and premature birth every year in the UK. Our mission is to halve this number by 2030, and we’re well on our way to achieving this. We’re doing so by funding medical research and empowering mums and dads with cutting-edge pregnancy information.